For several years my work has explored the concept of home, through sculpture, prints and collage. Lately, my sculptural work explores the two types of sculpture, relief and in-the-round, simultaneously, to talk about the juxtaposition of the inside and the outside. In my two-dimensional work, I am using color, pattern and texture to create prints and collage to talk about place, both literally and figuratively. 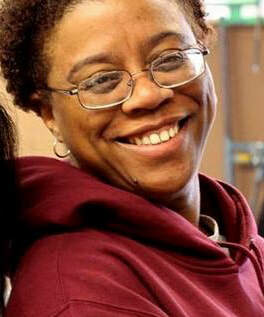 Kimberly Dummons is an Associate Professor of Art and Design at MTSU in Murfreesboro, TN. She earned her B.A. in Art from Xavier University of Louisiana, and her M.F.A. in Studio Art, from the University of New Orleans. Her work is mainly sculpture, with some printmaking.